Good news to Clark Airport travelers! An air-conditioned shuttle service has started operations at the Clark Airport or Diosdado Macapagal International Airport (DMIA). The DMIA shuttle service utilizes new and fully air-conditioned jeepneys of the Clark Special Economic Zone Transport Federation (CSEZTF). The service plies the route from the DMIA to the Dau Bus Terminal in Mabalacat and vice versa with stops at the Clark Main Gate and SM City Clark. The fare is Php30 from the Clark Airport/DMIA to the Clark Main Gate and SM City Clark, and Php45 from the airport to the Dau Bus Terminal. 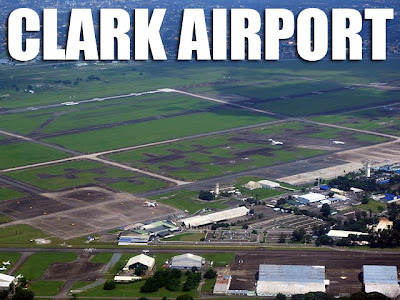 To get to other destinations around Clark, directions to/from Clark Airport to Metro Manila and North Philippines, and the bus schedules, read How to get to and from the Clark Airport which gives the complete details of transportation to Clark Airport. Update: There is now a free shuttle bus service for AirAisa guests from Clark Airport to Marquee Mall and vice versa. Buses leave Marquee Mall at 09:00, 10:20, 13:00, 15:00, 16:30 and 19:00 arriving in Clark Airport after 20 to 30 minutes. Buses leave Clark Airport for Marquee Mall at 10:00, 11:00, 14:30, 16:00 and 17:40. Another free shuttle is for Dau Bus Station, leaving Clark Airport at 21:20. 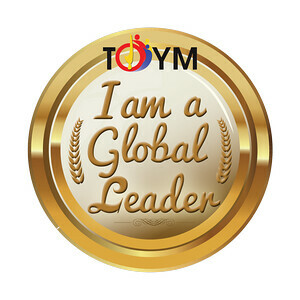 For more information, contact Victory Liner at +63(2) 5597735 or info@victoryliner.com. Hi, question lng po.. until what time po yung mga shuttle going to clark airport from DAU? and san po sa DAU ung sakayan ng jeep?meron pa ba sa gabi? Kinausap ko yung driver ng 1 of the shuttles about 2 to 3 weeks ago, and he said na it's 400 daw per jeep. I clarified if ako lang mag-isa don't they have a per tao na rate, he said no. Engot talaga un. I'm glad to know that they actually do have a rate na per person. Do you happen to know the schedule to and from the airport? Thanks Ivan! I enjoy checking out your blog, it's very informative. I just discovered that you're in fb, I just became a fan =D Keep up to great work! DMIA told me the schedule is in-tune with the flight schedule. I was asking them for the same thing kasi. unfortunately, at night this isnt present anymore :( - from dmia to dau. from dau, you can take a bus to manila..
how do you get to clark airport from SM Clark? there used to be jeepneys that go there directly, but I hear that they stopped that to try to force travelers to use expensive taxis and private services. very shady and manipulative and a big turn off to me about the attitude here. has that changed? last time I tried to take the jeepney to the airport, they dropped me off outside of it and I ended up walking almost 10 minutes to get there! has that changed? how can you get there by jeepney? is the 10 minute walk inevitable? I do not want to pay any expensive taxis there from checkpoint or SM clark. I personally went to the Terminal at 4:45PM yesterday and saw three (3) AC Shuttle Service jeepneys parked at their designated area, signifying that the service is still functioning and available to passengers of the DMIA. Re the Dau bus station, I am still waiting for info from the Terminal, and will get back to you when I have it. - they are stationed at our terminal at least up to 9:00 pm daily in time for the arrival of Cebu Pacific flight from Singapore. They have tried to stay on til almost midnight to catch the arrival of the Asiana flight but were discouraged when no passengers used their service. And therefore decided to forego that late flight. We’ve just been there at the Dau Terminal to check on the facility and we’re definitely going to have a waiting lounge/reception area for passengers who would like to take the ac shuttle to DMIA. This will be up a few days from now. The delay has been due to the securing of permits of our accredited transport group to operate at the said terminal. We hope we have addressed your concern and we’ll keep you posted for updates. am so worried coz am arriving DMIA on july 3 at 4am.IS there any shuttle on that time or 5am? how about the time interval? Baka naman mamuti ang mga mata ko po,hirap magtipid. Hirap kasi maghanap ng pera. Hi, any update on the DMIA shuttles ? hi! id like to know the update if there is a shuttle bus or any fair transportation from DAU bus terminal to CLARK airport. if there is, what's the schedule, where are they stationed, and how much? i hope you could help me coz im leaving for HK on january 13 with my daughter thru clark airport and i want it to be smooth until we come back home.thanks! what are the operating hours of the aircon van shuttle to clark airport. our flight is 7am and will be taking bus to dau terminal from manila. may a/c shuttle na ba ng time na yun? From Dau, usually it will take you 2 to 3 hours to reach Manila. But make sure to pick the right bus if you want to arrive there on time or even earlier. Hi, may flat rate na po ba ang mga taxi sa Clark going to DAU terminal, or do you have to haggle for a price? I've heard na some taxi's are charging as much as 450/person which is really high and some says 400/taxi which I think is fair. Our flight will be arriving around midnight via singapore air. Also, may atm machines available ba doon and how reliable are they? Thanks! Hi po! Yung DMIA shuttle bus from the airport will make a stopover to SM Clark and then to Dau, right? Pero paano po yung pabalik? May stop-over din po bah from Dau Bus terminal to SM Clark bago pupunta sa airport? nagstop over po ung DMIA bus at SM Clark..
Hi! Can someone help me? I have a flight out of DMIA at 7:40am via Tiger Airways so I need to check-in at 5:30am. If I take the 2am bus from Manila, I will be arriving at the Dau terminal around 4-5am. Will there be transportation available from Dau to DMIA at that hour? How long is the travel time from Dau terminal to DMIA? hi , will be arriving from clark arounnd 8-9pm may shuttle service pa ba nun? at kung wala mag kanu ung taxi from airport to dau terminal? hi, i am coming to clark airport from Bangkok via tiger aieways and i will be arriving at 8.00 p.m. in clark airport, on 17th dec, can i get philtranco bus after clerance of immigration and customs at clark airport? or any other bus going to manila from clark. Last bus leaves at 8:30 p.m.
ano ba naman yang airport na yan! inaccessible. haha! My sister and I will be at Clark, coming in at midnight next month ( Jan 24th). Is Clark open 24 hrs??? Need to go to Dau Bus Terminal to catch the bus for Pangasinan. just want to know if the shuttle service from dau bus terminal to DMIA operates 24 hrs? our flight will be 7am.....we will be reaching DAu bus terminal by 1 0r 2am, what is the best possible way going to DMIA? thanks in advance hoping to hear from you soon! The taxi mafia controls prices at Clark airport. If you try to arrange a taxi to take you direct to Dau, they will try to charge you 500 pesos. If it is after hours for the a/c jeepey, the best you can do is try to arrange a share ride in one of the taxis to the main gate for about 200 pesos, then take a trike to Dau bus terminal for 50 pesos more. i got a jeep from Jeep station on feilds Ave to Clark uni stop and walked the 5 mins to the Terminal 10 paso. i had 1 small bag, do not try this with large bags. How to go from DMIA (Clark) airport to University of Philippines Los Banos, Laguna ? Are there any shuttles Please? hello po.. ask ko lang po sana if from dau terminal going to clark airport e my taxi? cause im flying this march.. para sana po maka tipid ako.. salamat po..
Hi ask lng po if from dau what are we going to ride pupunta po kc kame sa hot air balloon festival.ano po ba ang sasakyan namin and how much po? How to get to DAMIA from dau? how to get to dmia from sm san fernando? Are there available buses within the clark airport's vicinity to fetch up passengers direct to ilocos region?